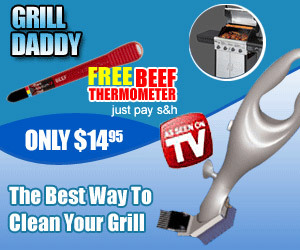 Grill Daddy – The Best Way to Clean your BBQ Grill. As Seen On TV. Specially designed stainless steel bristles clean between grill grates & surfaces. Releases steam a water as you brush away baked-on food & grease.